Approximately 400 pieces of precisely CNC cut marble are assembled as a sequence of sections, which articulate the overall form of the marble Pavilion. 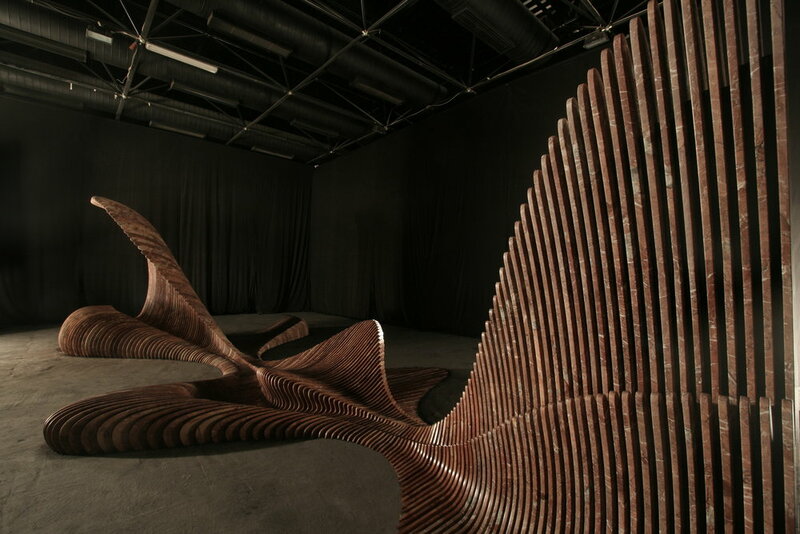 In what seems to be one of the biggest operations of manipulating this natural material through CAD/CAM, the designer’s goal was simple: To demonstrate the potential of a beautiful archaic material in the contemporary realm of formal architectural languages. 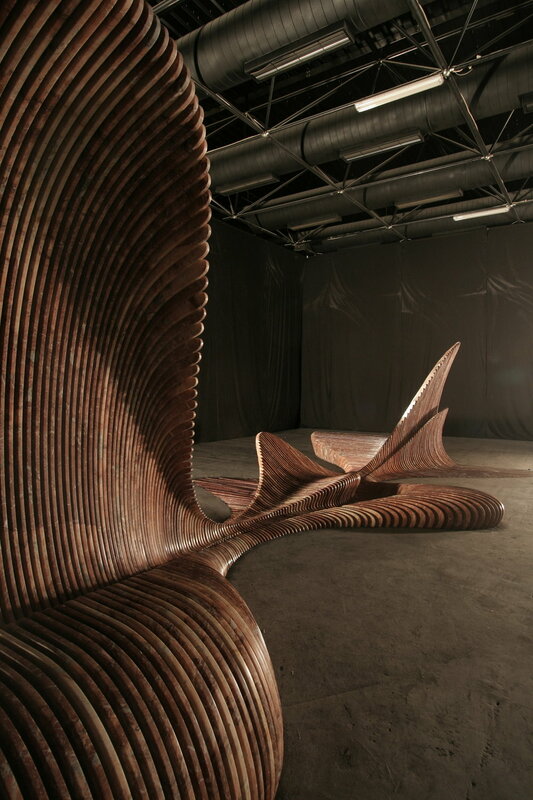 The marble Pavilion, a 9 meter double curved form is the result of a digital morphing technique that is utilizes usable anthropometric recipes as sections. Highly technical form-generating methods where employed to morph those sections to the creation of geometrically sound, continuous ridges and valleys, which become the trademark “move” within the pieces resulting architectural language. The pavilion was designed, constructed, assembled and visited by the public by invitation at the 1st Athens Interior design show in November 2009.